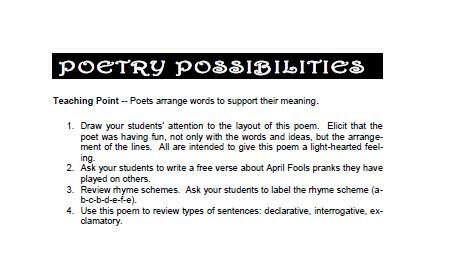 It's about time, teachers, for April Fools' Day. Are you bummed that it's not on a school day? Never fear, it will be on Monday next year to start the week off on a celebratory note. 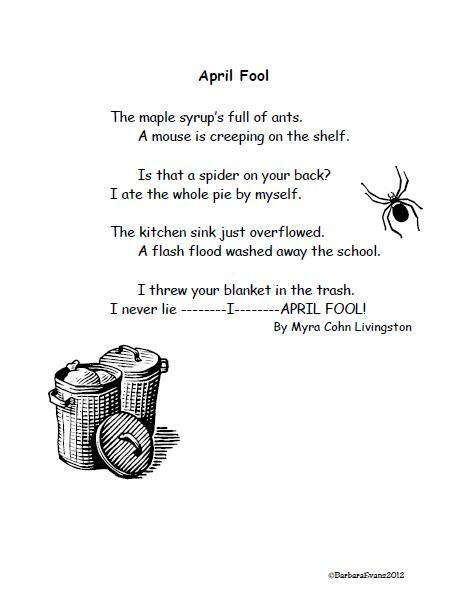 In the meantime, enjoy an April Fools' poem and some teaching suggestions to go with it. 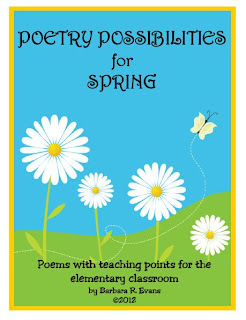 If you like this poem and the teaching possibilities that accompany it, you may like my product, Poetry Possibilities for Spring. The poem above comes from that unit. You can find it at my TpT Store or in my TN Shop. 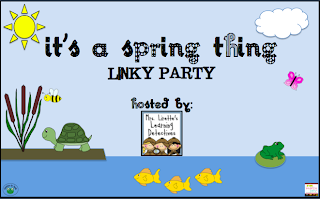 You can find many more spring units at Mrs. Lirette's Learning Detectives' linky party. Check it out! You'll be glad you did. Many, many thanks to Heather at Beg Borrow & Teach for giving me the One Lovely Blog Award. You have made this newbie blogger feel very special! If you haven't discovered Heather's blog, go there now. Her blog title surely speaks to teachers everywhere. We're all beggars, borrowers & underpaid teachers. (I only crossed out the "underpaid" to be p.c.) 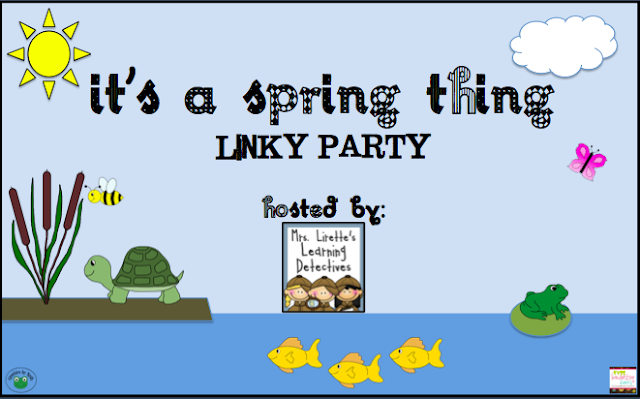 Her blog is filled with wonderful ideas and, right now, she is offering a FREE Reading Comprehension bookmark. Many of these blogs are new, like mine. Do them a favor and check them out. They represent a treasure trove of new ideas. You're welcome, Mrs. K. Thanks for stopping by my blog. I just found your blog and I'm your newest follower. Stop by and visit me when you get a chance. Hi Pamela -- I'm so pleased to have you join my little family. Please come back soon. I'll be right over to check out your blog. So glad you found me Lily. I'll be over to check out your blog soon. I'm so glad you are here, Bethany. Please come back often, especially if you like poetry. I'm kind of a poetry nut.